Mike Weller's Space Opera and the twenty-three tales making up Slow Fiction combine to make mySpaceOpera. 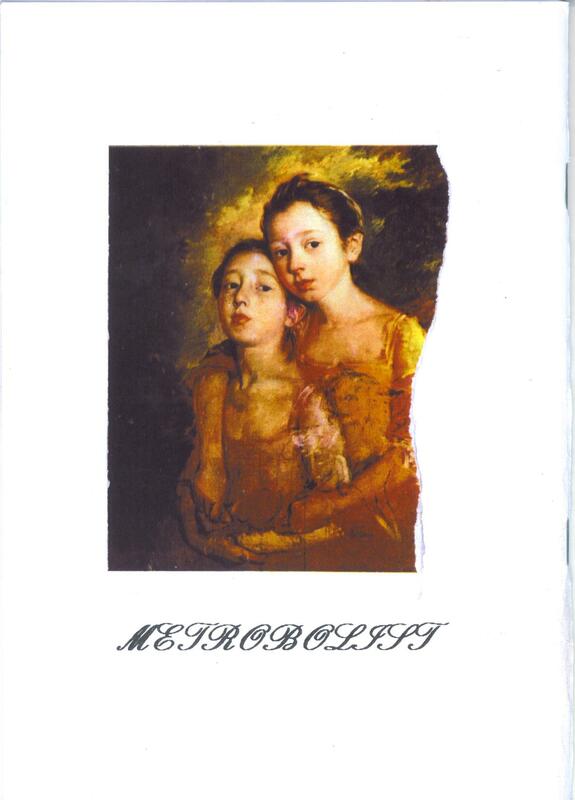 Metrobolist's five chapters may be read and viewed as overture to print/digital bookwork object mySpaceOpera. Metrobolist: Five chapters may also be read as standalone tales with time sequence 1946-1971 driving narrative. Metrobolist 1 is an exception, in as much as it introduces the character Weller (Welles) with multiple and playful character identities, defined through a processing typo of words 'phonemic' and 'phenomic'. 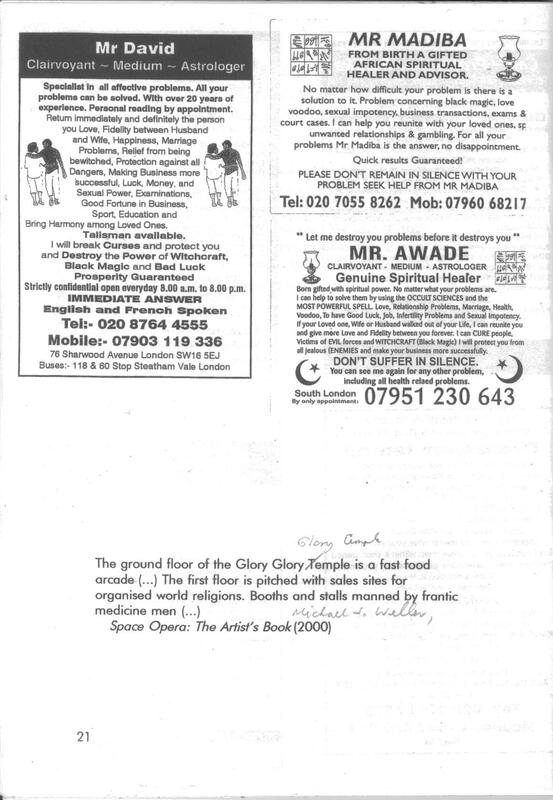 Metrobolist opens with a stanza from Andrew Marvell's 17th century poem The Definition of Love and closes with a visual montage of found flyers promoting the psychic services of a south London-based African medicine man with an array of multiple personality/playful character identities (eg., Professor Baraka, Mr David, Mr Nanah) that may also be fictional. 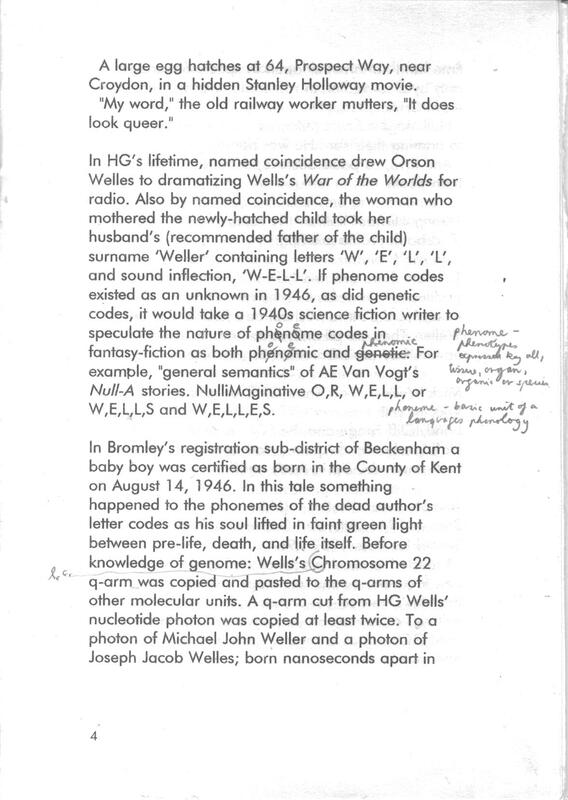 Treating typos (i.e., 'phenome') corrections and text addena in pencil, biro, ink, as annotation, brings a visual (typo-graphic) aspect to page units making up story. Hand-writing, drawings, cartoon-strips, old typescripts, treated text and design roughs are collaged into page unit panels -- something British poets Chris McCabe and Chrissy Williams (contributor to North American-based Ink Brick journal of comics poetry) have introduced through a 2015 public Saison Poetry Library exhibition of varied vispo works at London's Southbank as "poetry comics".